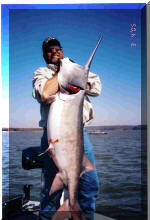 Due to the high increase of gas we have had to raise our prices as of this year. 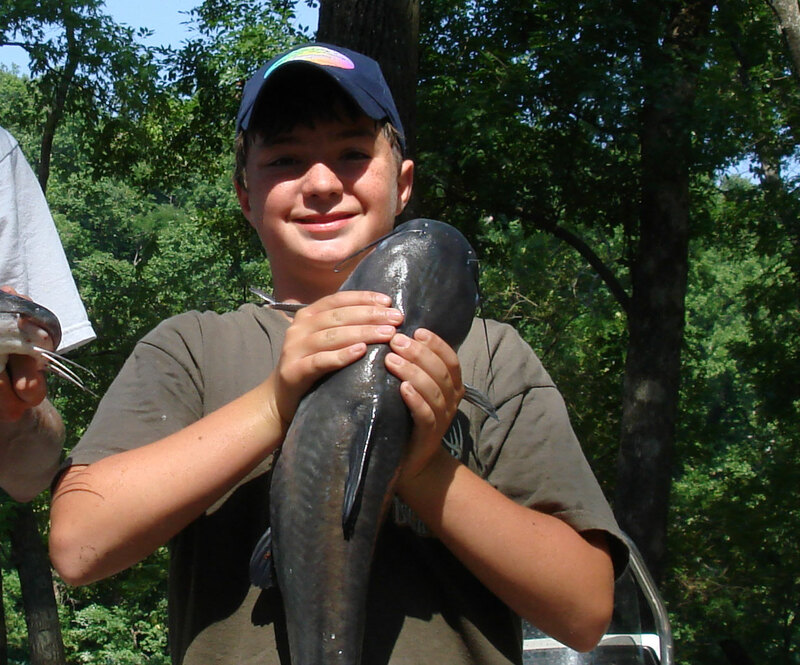 We apologize but know you will understand. 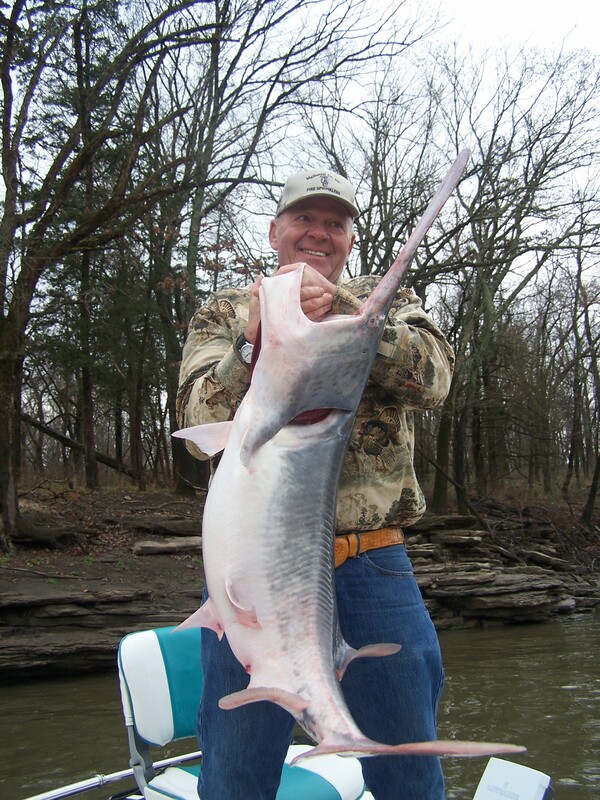 All trips leave out of Honey Creek State Park unless specified by the guide. 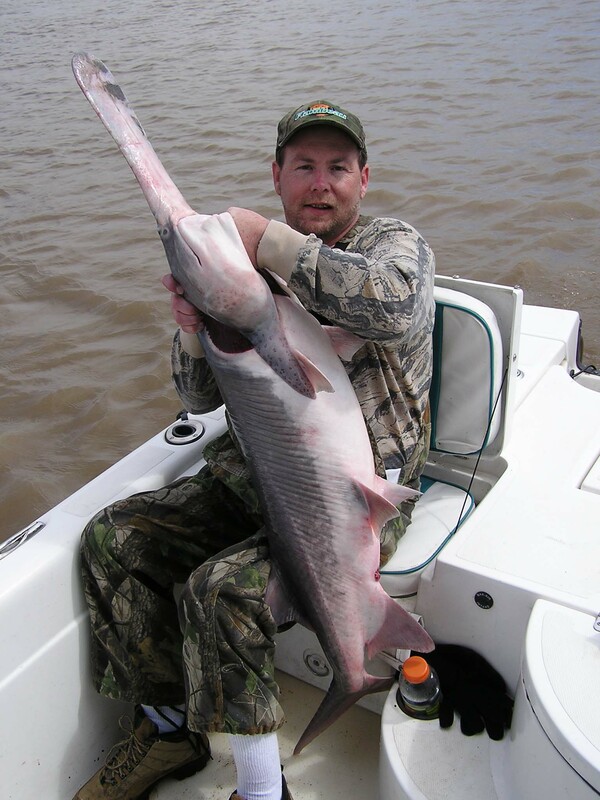 If you request pick-up at another location an extra fee will be charged, depending on the location, and if we are able to do so, except spoonbill trips. 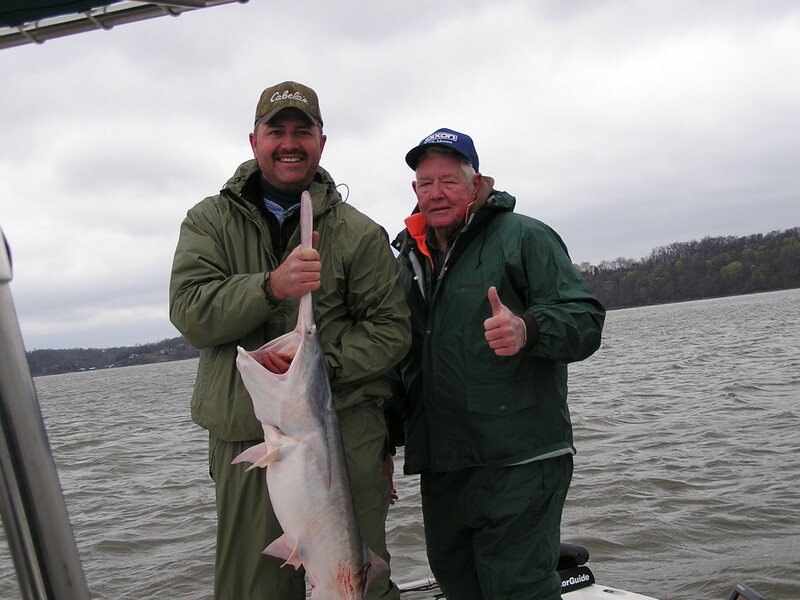 A trip with Dempsey's Fishing Guide service is an experience you shouldn't miss!!! 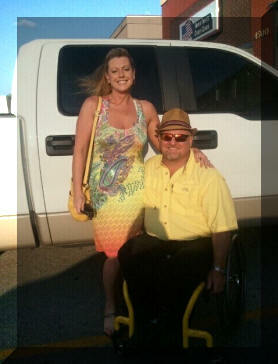 No one will work harder for you and we're going to have fun!!!! 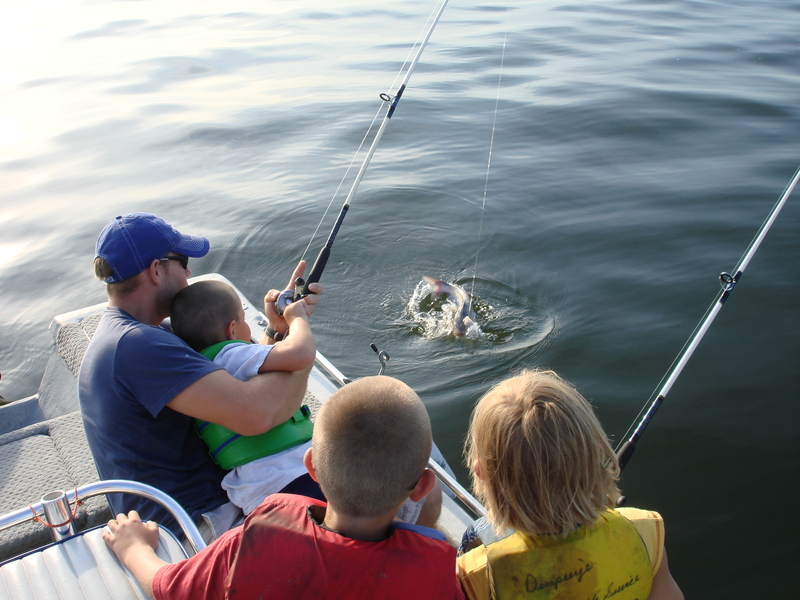 We are a Family oriented business and Fishing is for EVERYONE!!!! 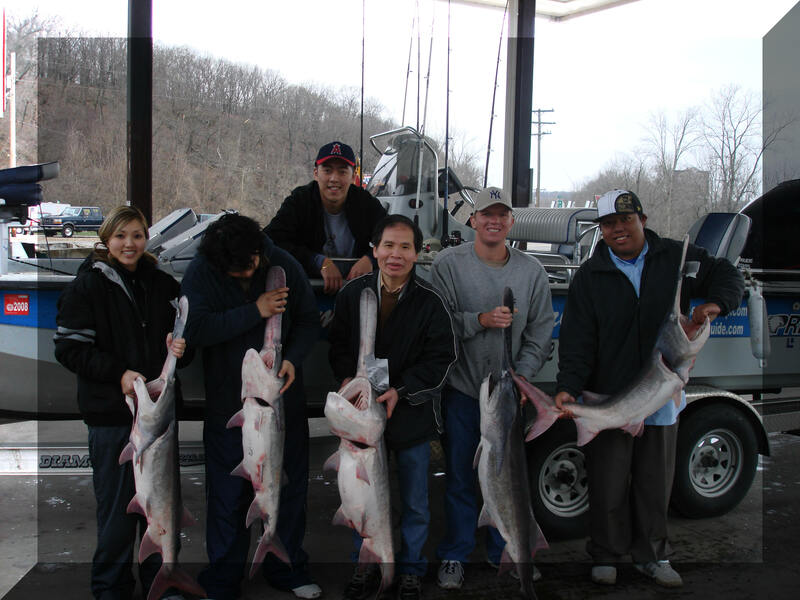 Ray and Sharon share their knowledge and experience with both the novice and advanced fisherman as the Grand Lake fishing guide for paddlefish, spoonbill, catfish, white sand bass or black bass. 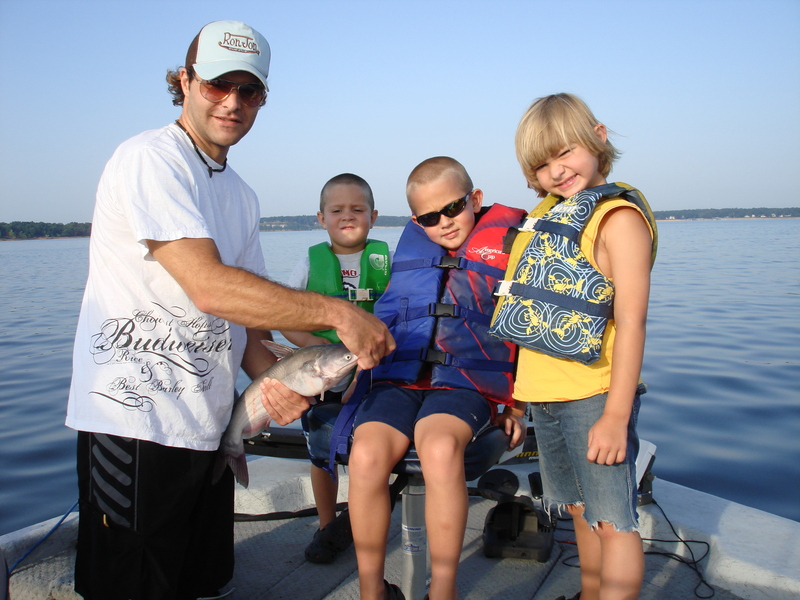 2006 Pro Gator Bay Boat - 24' 10"
all for your comfort, safety, speed and room for the disabled. 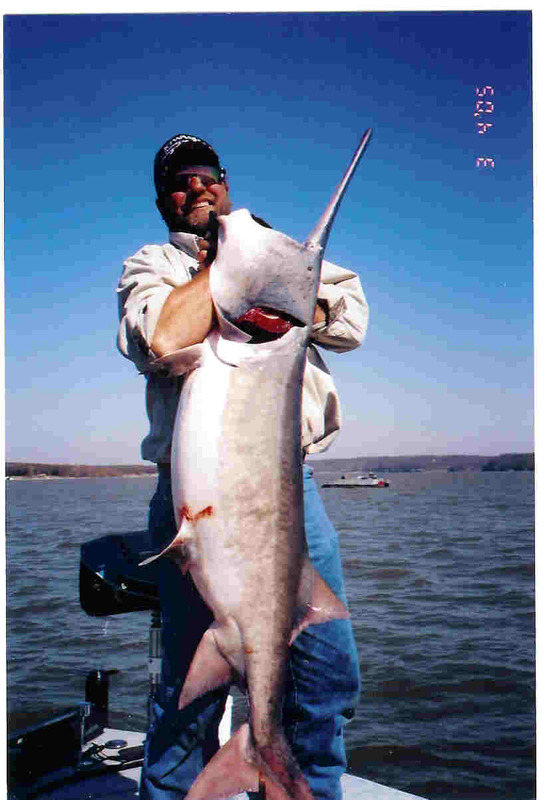 Whether you are young, old, male, female, live near or far you will have fun on your fishing trip catching fish with Ray and Sharon as they tell you of their fishing stories, sings songs, tells you jokes, and ,of course, catches fish. 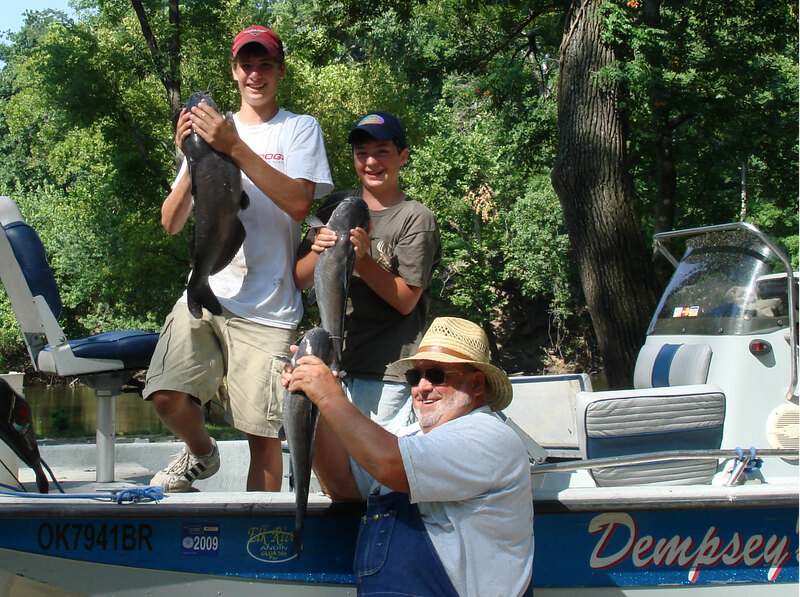 A relaxing, enjoyable and productive trip made up of memories to tell your grandchildren about in the years to come. 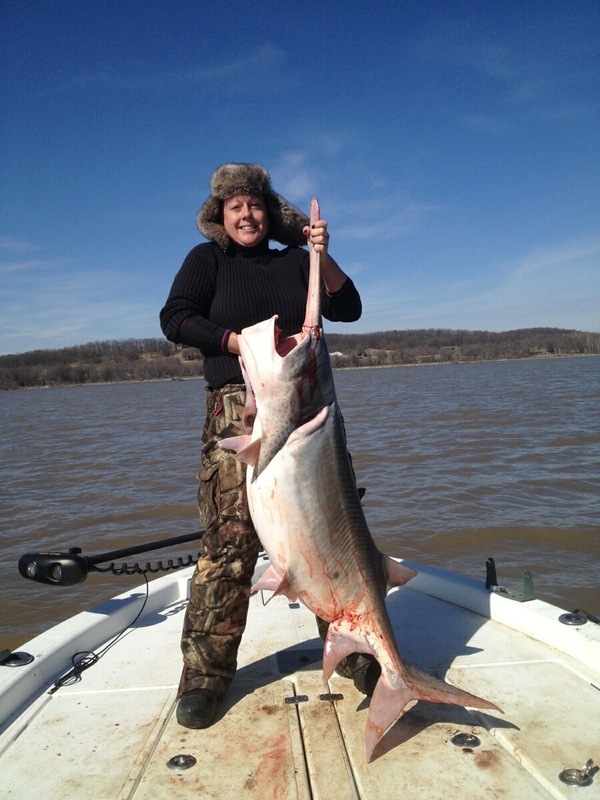 Come join Ray and Sharon on a fishing trip for paddlefish, spoonbill, catfish, white sand bass, or black bass. 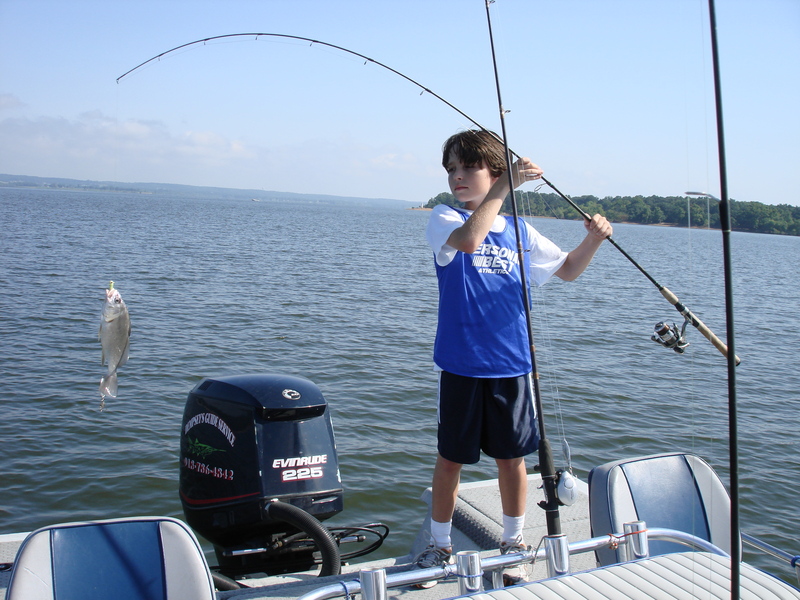 We fish any time of the year. 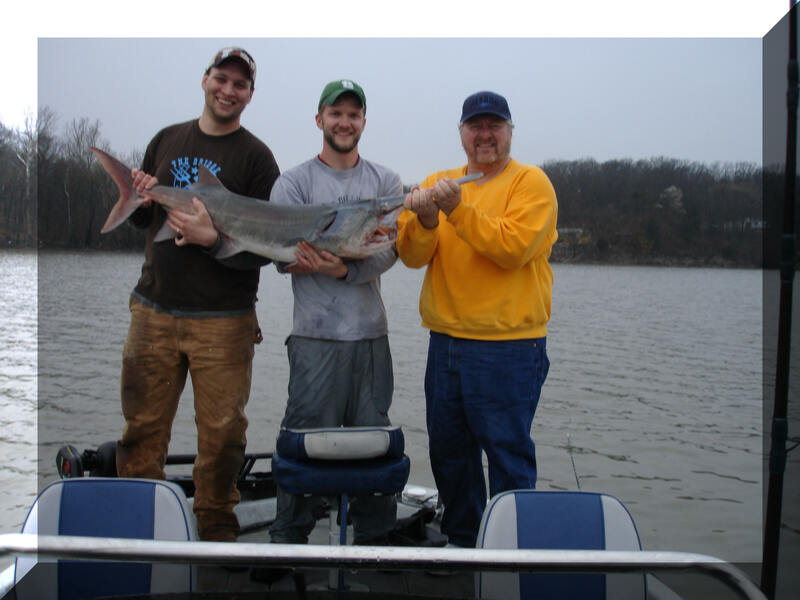 May 1 extremely late for spoonbill but we still caught them!!! 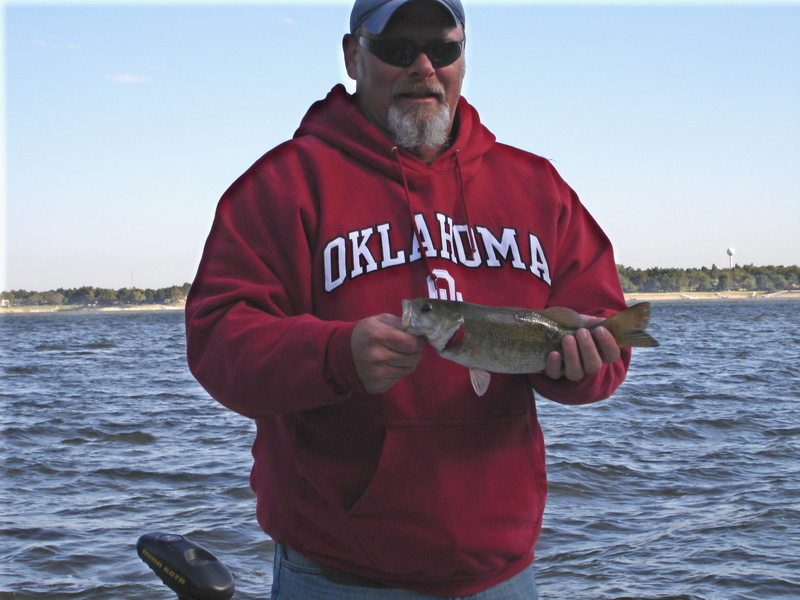 Spring, Summer and Fall are White Sand Bass Times!!! 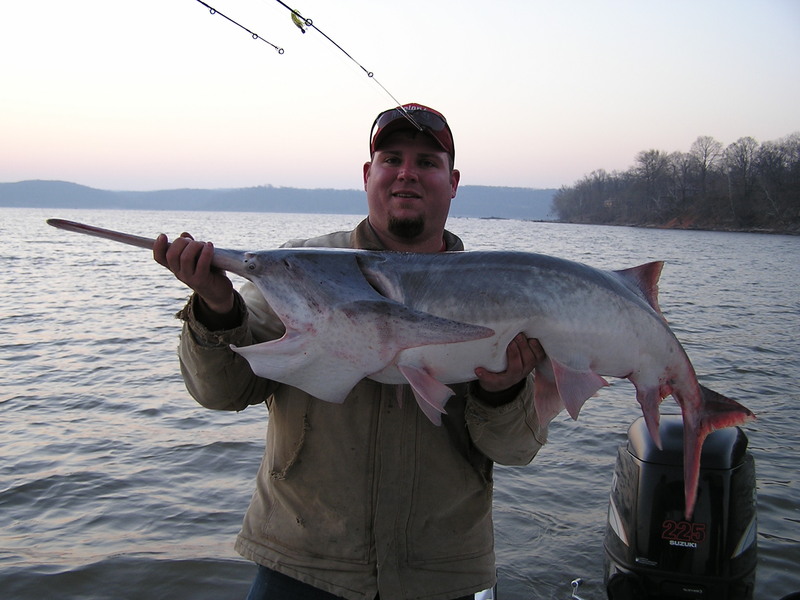 Best times of the year to go spoonbill fishing is November through April. 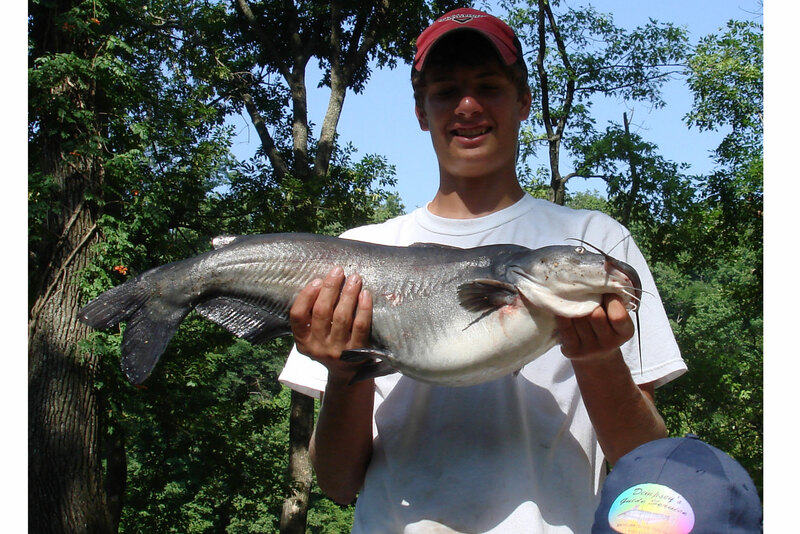 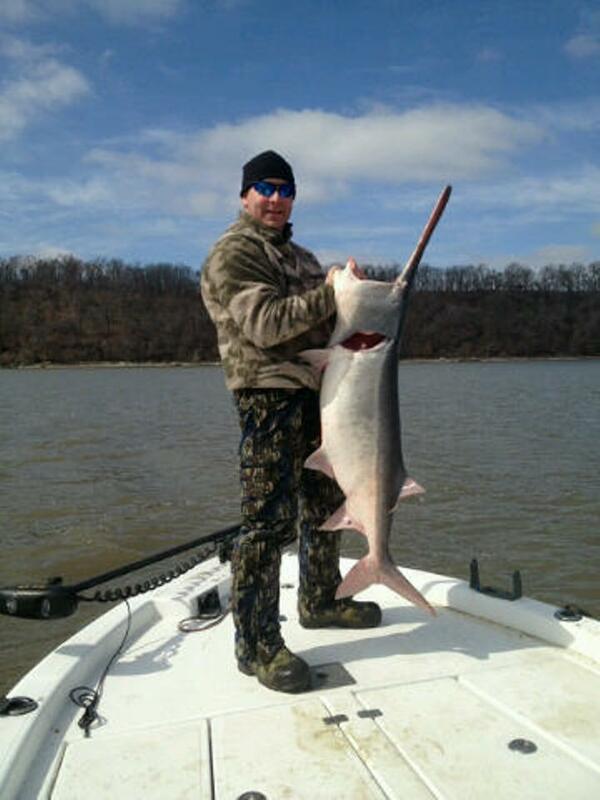 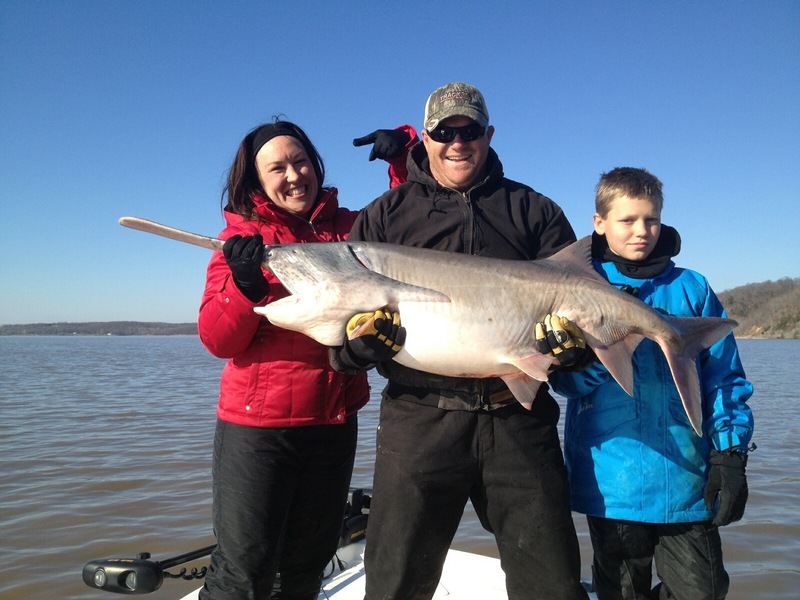 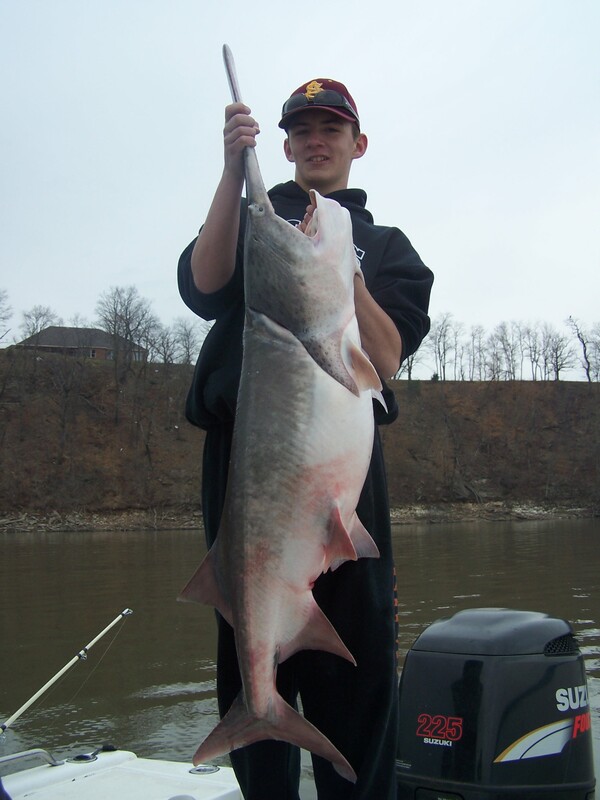 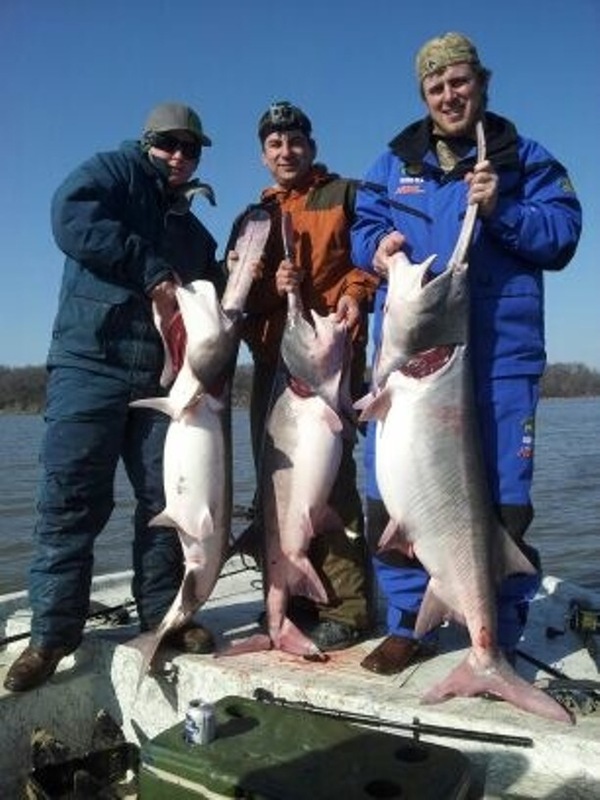 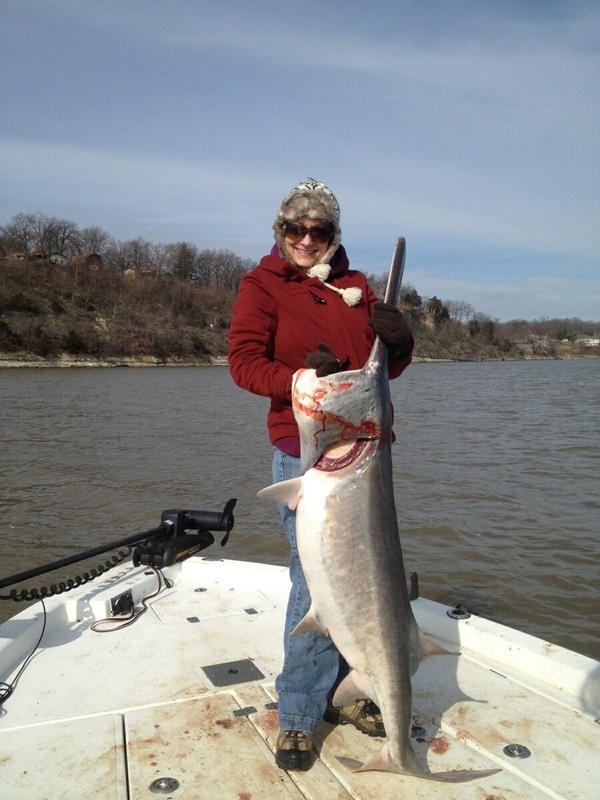 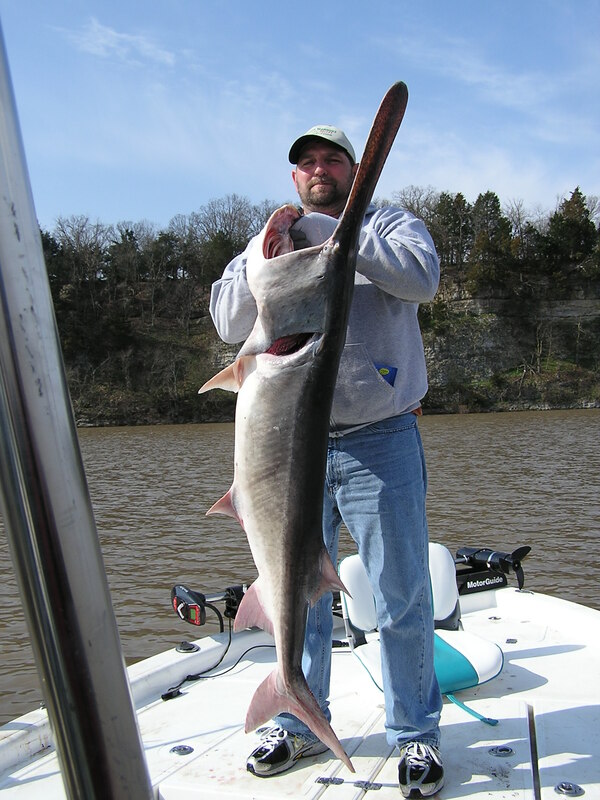 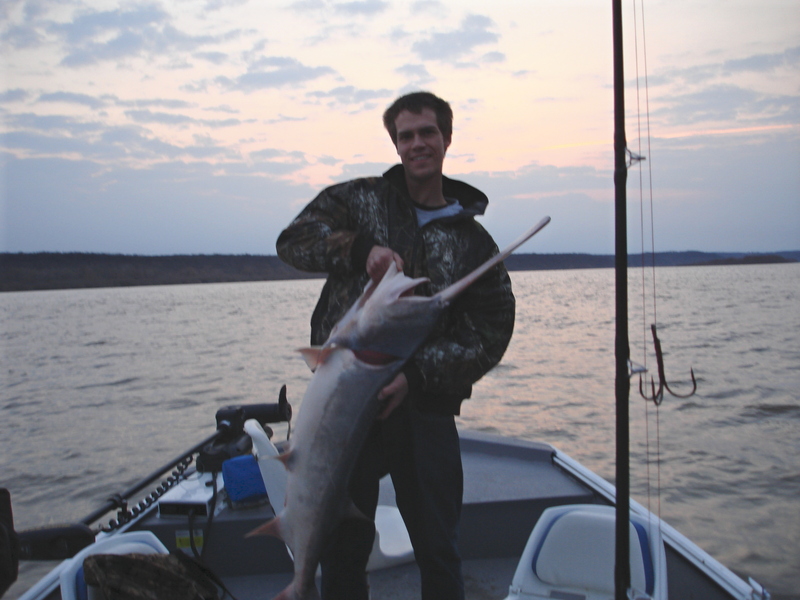 Book your spoonbill fishing trip TODAY for a guaranteed date. 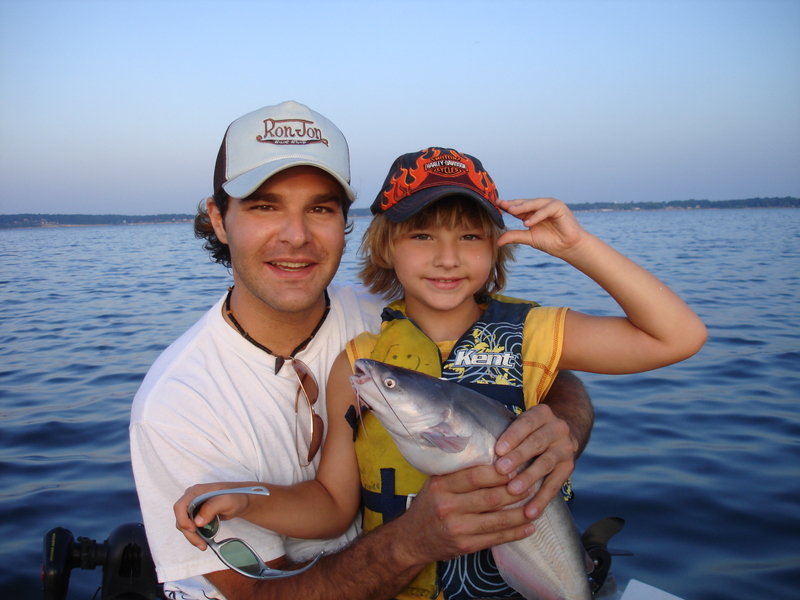 Your inquires are very important to us, we will get back with you ASAP.